(CNN) Special counsel Robert Mueller’s almost 400-page findings and analysis of Russian interference in the 2016 election and alleged obstruction of justice by the President may have, as members of Congress fear, heavy redactions. Not all evidence collected by a prosecutor like Mueller fit under the grand jury umbrella. Not all witness statements are made during the secret court proceedings. That doesn’t mean, however, that the version of the report the public sees will have few redactions. Attorney General William Barr wrote to Congress last weekend about Mueller’s topline findings and said his “goal and intent is to release as much of the special counsel’s report as I can consistent with applicable law, regulations and Departmental policies,” according to the letter. On Friday, Barr gave Congress even more detail about the redaction process — laying out four reasons why portions of what Mueller wrote will be redacted. Barr also assured Congress he’s not sending the Mueller report first to the White House for executive privilege considerations before it is made public. Barr said the report would be released in mid-April, “if not sooner,” and he offered to testify publicly to Congress about the Mueller report. Barr has control for now on what’s kept private and what’s not — but federal judges may decide what could be released. Rep. Adam Schiff, a Democrat from California who chairs the House Intelligence Committee, tweeted on Friday that “Barr should seek court approval” to release information from Mueller that might fall under grand jury secrecy. “Redactions are unacceptable,” Schiff wrote. At least one transparency organization has already sued to make public the Mueller report under the Freedom of Information Act. Among the reasons for redactions, Barr has emphasized to Congress the secrecy of grand jury proceedings. The grand jury rules broadly prohibit information from those proceedings leaking out — yet Democratic members of Congress have pointed out that judges can and do choose to release information from grand juries, especially when the panels have handled matters of historical importance. “There’s strong authority,” according to public access lawyer Ted Boutrous, for judges who supervise federal grand juries to release information. Boutrous is currently pressing for the release of details related to a grand jury subpoena sent by Mueller to an unnamed foreign-government-owned company. Chief Judge Beryl Howell of the DC District Court has agreed to make some case documents public in that proceeding — though it’s one part of Mueller’s investigation that’s still an ongoing matter, so more information identifying the company might not be released yet or identified in Mueller’s report. However, Howell, who has overseen the grand jury used by Mueller, has sided with significant public access attempts in the past, including in the release of information at one time kept confidential by the courts related to grand jury proceedings of historical importance. Howell wrote a detailed opinion last year, for instance, regarding the court’s disclosure of grand jury-related material in the Starr investigation of President Bill Clinton, after CNN asked to unseal the documents. The Justice Department has appealed parts of that decision, and the federal appeals court in DC continues to weigh whether judges like Howell have the ability to release grand jury information when asked. Others privy to the grand jury have power over the secret material, too — such as witnesses who testify before the grand jury exercising their First Amendment rights to speak about the proceedings. In another plus for transparency, Mueller didn’t rely solely on a federal grand jury for all his evidence gathering and witness inquisitions. A tally by CNN gives a glimpse about the extensive use by Mueller of both in-person interviews and the grand jury to gather information from witnesses. More than 80 people, by CNN’s count, spoke to prosecutors or the FBI outside of the grand jury, making their disclosures harder to keep secret. At least 20 witnesses are known to have testified before the grand jury between October 2017 and January of this year. The witness interviews outside the grand jury proceeding get summarized in memos written by investigators. Those documents are known as 302s and can be made public. Even in this investigation, 302s already have been made public, such as when those regarding Michael Flynn’s statements to the FBI were released before a court hearing. Similarly, Hillary Clinton’s FBI interview summary and those from other witnesses were made public in the investigation of her use of a private internet server while she was Secretary of State. Plus, the grand jury testimony may fall more on the side of Mueller’s report regarding the Russian collusion question. There’s no indication that White House officials testified to the grand jury about whether the President obstructed justice. Hundreds of other documents that comprise slivers of investigative steps — like 500 search warrants, 280 requests to look at communications data and 13 letters to foreign governments — live under seal in the court system for judges to decide when they can be made public, and how. These, in essence, would be like supplements revealing Mueller’s work, showing who, when and why Mueller targeted people and their possessions for the investigation of alleged crimes. Only a handful of search warrants related to the Mueller defendants Paul Manafort, Trump’s former campaign chairman, and Michael Cohen, Trump’s former lawyer and fixer, have been disclosed by courts so far. Yet these already provide hundreds of pages of documentation of Mueller’s work. In Mueller’s case against Concord Management and Consulting, prosecutors collected terabytes of online data — including a swath of it in untranslated Russian. In the case of Roger Stone, a longtime GOP campaign adviser and Trump confidant, his attorneys got a similar stack of evidence totaling multiple terabytes that could pile “as high as the Washington monument twice,” Stone’s attorney said in court. Previous independent counsels who’ve conducted intense investigations into sitting presidents have compiled similarly massive amounts of evidence. But even the Starr investigation or the Watergate investigation wouldn’t come close to Mueller’s compilation. That’s because those investigations took place in eras where far fewer conversations happened in writing, over email, text and apps. In Manafort’s criminal proceedings, Mueller’s team used their vast data collection like a sword. When Manafort ghost authored an op-ed about himself, reached out to former associates, complained about his environment in jail or made an assertion during his cooperation interviews, prosecutors had phone records, emails and even Microsoft Word tracked changes to reveal his actions. And that was all after Manafort’s arrest. At his trial for financial crimes last summer — which barely related to Manafort’s time on Trump’s campaign — the jury needed a large room so the many boxes of evidence binders would fit. In all, Mueller’s report stretches to almost 400 pages, not including the attachments. This isn’t an extreme number, but it’s a thorough one, said Terree Bowers, a former US Attorney who oversaw the Keating Five congressional scandal case. Mueller’s report is “long but it’s not inappropriate,” Bowers said this week. Mueller would use those pages to explain his cases against Russian attempts to infiltrate the election, as well as how he did not establish that the Trump campaign engaged in a criminal conspiracy with Russia. There’s likely to be thorough discussions of law, too, including both sides of the question of whether to charge the President with obstruction of justice. 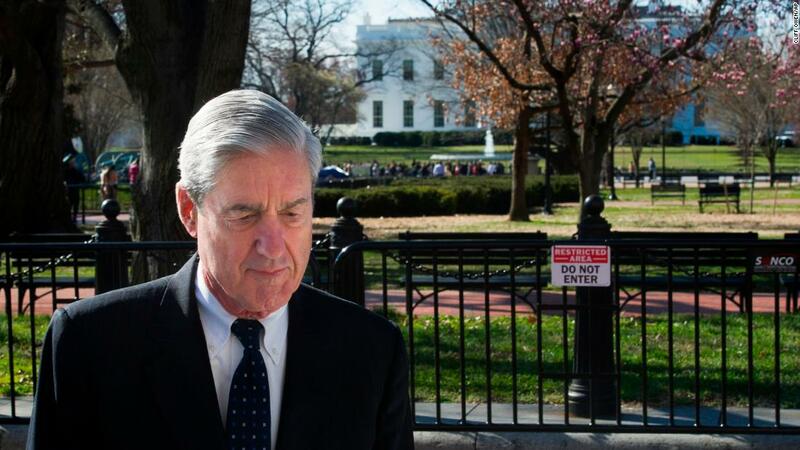 (Mueller ultimately didn’t decide on the obstruction question, leaving it to Barr and Deputy Attorney General Rod Rosenstein to make the call not to prosecute Trump for obstruction of justice). “As Ricky said to Lucy, ‘You’ve got some ‘splaining to do,'” Bowers said about the Mueller report. Barr has told Congress that some information in the Mueller report may need to be redacted because of ongoing investigations. At this time, it’s unclear how many of those remain. A federal judge in Washington prompted a Justice Department lawyer to say in court last week that a grand jury investigation started by Mueller is “continuing robustly.” The DC US Attorney’s Office has stepped up to handle that case — which involves that still-unknown foreign-government-owned company. The Washington-based federal prosecutor’s office has also taken over the criminal case of Rick Gates, Manafort’s longtime No. 2, who continues to cooperate in “several” ongoing matters, prosecutors have said. Gates has not yet been sentenced. Mueller’s unit previously referred parts of its criminal investigation to even more US Attorney’s Offices than just DC, including in Manhattan and in northern Virginia. Their work appears to continue as well, and at least one US Attorney’s Office is still digging into Trump’s inaugural committee’s financial transactions. Barr also told Congress on Friday some of the report may be redacted because the intelligence community may decide it reveals “potentially compromising sources and methods.” Other redactions will protect the privacy and reputations of “peripheral” players, Barr said. In court in recent weeks, the Justice Department has argued that pieces of Mueller’s evidence must stay secret because if they are revealed, they could risk sharing national security secrets and tactics. Other court filings in cases related to Mueller have been filed entirely under seal, with next to no reason given for the secrecy. In Manafort’s case, which for months Mueller used to publicly imply the direction of the broader investigation, the special counsel’s team effectively went dark on their recent pursuits as they debated in court Manafort’s lies during his cooperation interviews. They asserted to a judge in February that his communications with his Russian associate Konstantin Kilimnik in 2016 were at the heart of the investigation — while the redactions in Manafort’s recent court record have been so pervasive it’s impossible to fully understand what happened and what Mueller pursued. As recently as March 13, a Mueller prosecutor reasserted in court that the discussions about Manafort and Kilimnik while Manafort was campaign chairman should still stay secret. Yet the Mueller report is on its way. “Everyone will soon be able to read it on their own,” Barr wrote on Friday.